The Canadian Association for Neuroscience (CAN) is proud to announce that Tuan Trang, from the Hotchkiss Brain Institute at the University of Calgary, will receive a 2017 CAN Young Investigator Award at the upcoming 11th Annual Canadian Neuroscience Meeting in Montréal, on May 30th 2017. How does our body tell us something is painful? Why do certain people go on to develop chronic pain whereas others, with apparently similar disorders or injuries, do not? And why is pain so difficult to treat? To begin to unravel the great paradox of pain, our research focuses on discovering the fundamental molecules and processes involved in chronic pain and enhancing the utility of opioid drugs in treating pain conditions. His work has led to a better understanding of the fundamental mechanisms underlying chronic pain, the mechanism of action of opioids and the role that immune cells of the central nervous system called microglia play in chronic pain and opioid response. Chronic Pain affects one in five adults in Canada – in the elderly population, this number reaches one in three. Finding new treatments and preventative approaches to the chronic pain epidemic is extremely timely and important. Dr. Trang’s work has taken the opioid field in exciting new directions. Opioids such as morphine are amongst the most effective medication for pain, but are associated with debilitating withdrawal symptoms for chronic users. In an elegant recent study, Dr. Trang and his team have identified a previously unexpected mechanism by defining the activation of a channel called pannexin-1 (panx-1) on microglia as a novel spinal determinant of opioid retrieval. This was the first demonstration of the involvement of panx-1 in opioid action or withdrawal and therefore opens new avenues of treatment for opioid withdrawal. Moreover, Trang’s team was able to demonstrate potent amelioration of opioid withdrawal symptoms in mice and rats with existing medications: probenecid, and anti-gout drug, and mefloquine, an antimalarial drug, both of which are inhibitors of panx-1. The team also demonstrated that panx-1 inhibitors did not inhibit the pain relieving properties of opioids, making these specific inhibitors of the debilitating withdrawal symptoms. Dr. Trang is now leading collaborations with the Calgary Pain Clinic and the Toronto General Hospital in a pilot clinical trial to test the impact of probenecid on the symptoms of patients undergoing withdrawal from chronic opioid therapy. In other studies, Dr. Trang had shown that variability in pain sensitivity in both mice and humans could be linked to specific genetic variations in a receptor called P2X7. This knowledge was then used to design molecules targeting P2X7 in humans as a novel way to personalised treatment of chronic pain. Opioids have many side-effects that can limit their usefulness. One is that they can paradoxically increase pain sensitivity in some patients, a phenomenon called hyperalgesia, and another is that tolerance can develop, in which case the pain relieving effects are reduced. Dr. Trang is co-first author of a study that showed that hyperalgesia, but not tolerance, is mediated by microglia to neuron signaling, thereby showing that the two side effects occur through separate mechanisms, that can be targeted independently. Dr. Trang’s publication track record is impressive, and includes first and corresponding publications in Nature Medicine, Nature Neuroscience, the Journal of Neuroscience, Pain and the British Journal of Pharmacology. The high quality of these publications reflects the importance of Dr. Trang’s contributions to his field of research. 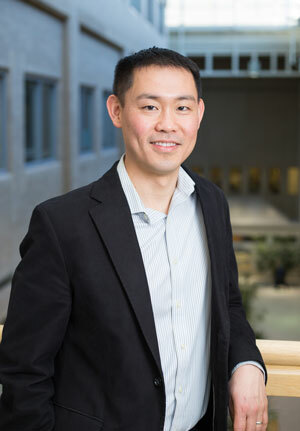 As further evidence of his high level of research achievement, Dr. Trang has received a CIHR Young Investigator Award, and a Rita Allen Foundation award in Pain, among other awards. The fact that many of Dr. Trang’s discoveries have led to the granting of patents shows the strong potential of his research to find applications in clinical setting to treat pain in animals and humans. Taken together, Dr. Trang’s work has broad ramifications for opioid analgesia, opioid induced modification of nerve signaling and pain signaling in the spinal cord. His studies have the potential to have a significant impact and benefits for the clinical treatment of patients suffering from chronic pain. In a short period as an independent researcher, Dr. Trang has positioned himself as an emerging leader in the pain field and the Canadian Association for Neuroscience is proud to present Dr. Trang with a 2017 Young Investigator Award. Burma, N.E., Bonin, R.P., Leduc-Pessah, H., Baimel, C., Cairncross, Z.F., Mousseau, M., Shankara, J.V., Stemokowski, P., Baimouk, D., Bains, J., Zamponi, G.W., Cahill, C.M., Borgland, S., De Koninck, Y., Trang, T. (2017). Blocking microglial pannexin-1 channels alleviates morphine withdrawal in rodents, Nature Medicine (Published Online Jan 30, 2017). Ferrini, F., Trang, T. *(co-first author), Mattioli, T., Laffray, S., Del’Guidice, T., Lorenzo, L., Castonguay, A., Doyon, N., Zhang, W., Godin, A., Mohr, D., Beggs, S., Vandal, K., Beaulieu, J., Cahill, C., Salter, M.W., De Koninck, Y. Morphine hyperalgesia gated through microglia-mediated disruption of neuronal chloride homeostasis, Nature Neuroscience, 16(2):183-192, 2013. Trang, T., Beggs, S., Wan, X., Salter, M. P2X4-receptor mediated synthesis and release of brain-derived neurotrophic factor in microglia is dependent on calcium and p38-mitogen-activated protein kinase activation . Journal of Neuroscience, 29(11): 3518-3528, 2009.